Sort of a theme! 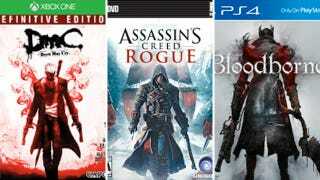 These games come out on March 10, March, 10, and March 24, respectively. No word on whether you get a discount if you buy them in one triple-trenchcoat pack. Contact the author at stephentotilo@kotaku.com.